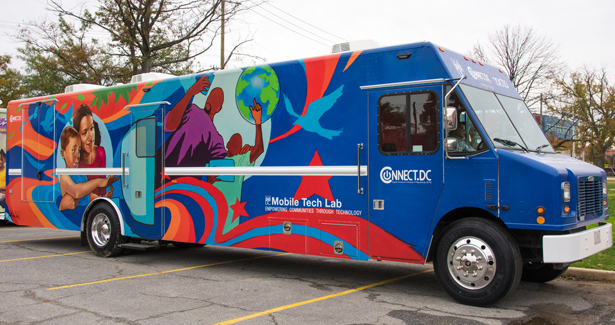 The Mobile Tech Lab is a 48-foot converted bookmobile equipped with computers and Wi-Fi that allows Connect.DC to bring the power of technology to neighborhoods across the District, with a particular focus on residents in Wards 5, 7, and 8. 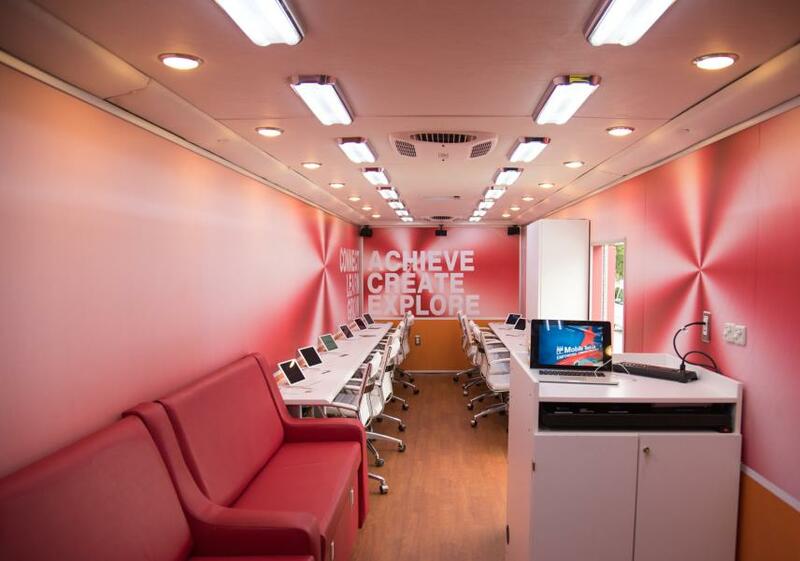 We partner with District government agencies and nonprofit organizations to teach classes on the Mobile Tech Lab and help residents sign up for email accounts, low-cost internet service, and other government services. If your organization has a web-based program that you would like to bring to underserved communities, please read our eligibility criteria for prospective partners. Organizations with eligible programs should contact Michell Morton ([email protected]) for more information. If you are interested in bringing the MTL to your organization for a specific event, please fill out our request form and we will be in touch within 5 business days. A reservation will be placed on our calendar once your request is accepted. Connect.DC will send you an MTL User Agreement [see template below] that must be signed and returned within five (5) business days in order to maintain your reservation. You will receive an email confirming your reservation and an invitation for the MTL’s Google calendar once your event is approved. If your agreement has not been received after five (5) days, your reservation will be cancelled.